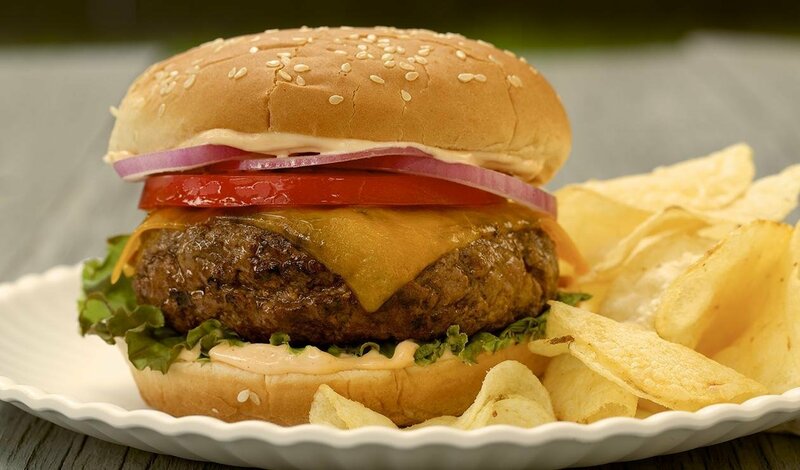 Ground beef patties blended with Tabasco Chipotle Pepper Sauce, topped with lettuce, tomato and onion—plus Chipotle Mayonnaise made with Hellmann’s® Real Mayonnaise and Tabasco for an extra creamy kick. Grill the burgers until desired doneness. Season with salt to taste. Build the burger with remaining ingredients. Top with prepared Chipotle Mayonnaise.